From work centers to prep tables, there are a variety of countertop prep and work areas available in a multitude of sizes and styles to fit any commercial need. 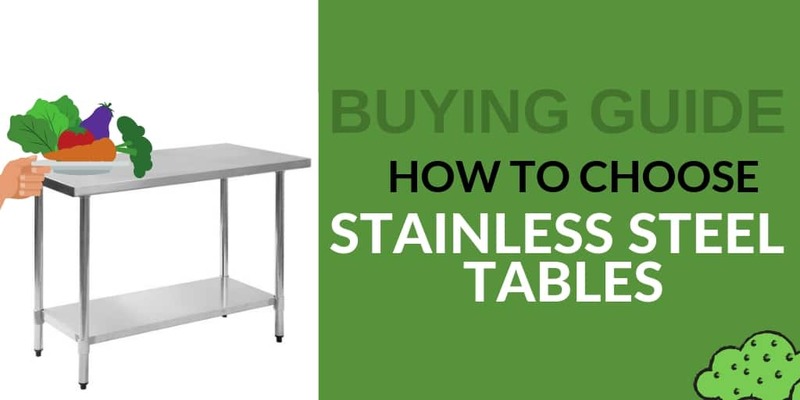 Whether you’re looking to add more room for more employees to prepare items or you’re in need of some extra dish drying space, there’s a table, workstation, or countertop for you. Large pieces of equipment or bulk foods that aren’t meant to be placed directly onto the floor will need a stand, but even floor model units can sometimes benefit from a movable stand to make cleaning the floor space underneath easier. Lift items off the floor for easy rearrangement and better floor access to ensure that your kitchen is kept clean. One cannot understate the importance of kitchen storage. Bulk products, overflow items, and extra products can be safely and securely stored in back-of-house operation with the addition of well-placed shelving units. These units are also beneficial in the kitchen and prep areas where dishes, towels, and other daily-use items can be stored in bulk. Undercounter units can only truly retain their usefulness with the installation of countertops. These extra table spaces can be used for presentation or preparation purposes, while beverage counters and tables achieve the same purpose but with specificity towards undercounter beverage storage in mind. While your kitchen may do most of the food preparation, your waitstaff and hosts/hostesses are responsible for managing the happiness of your guests as soon as they step foot in your restaurant. Add stations and stands throughout your restaurant to keep workstations organized and to help retain restaurant flow for both employees and customers alike. 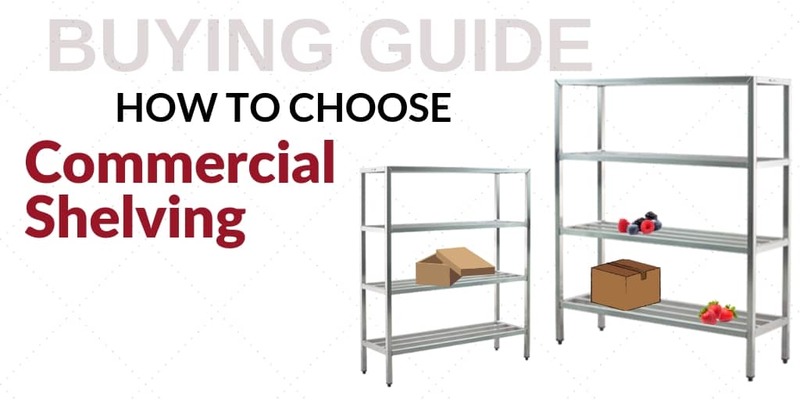 Your commercial kitchen can’t function without the right equipment, which is why we’ve put together this selection of top-quality kitchen tables and shelving. These items are the backbone of any busy kitchen, offering vital work space and storage space for employees to use. At CKitchen, you’ll find a wide variety of sizes, styles and configurations of these kitchen essentials to give you more options for outfitting your kitchen. With so many products from which to choose, it’s easy to find something that’s a perfect match for your space, your needs and your budget. Start your search by checking out our selection of kitchen work tables and prep tables. Whether you’re chopping, stirring or plating, you’ll find that these tables are used non-stop every day, so choosing from our lineup of tables from top brands in the industry is a must. Besides standard kitchen prep tables, don’t forget to consider a number of other kitchen counter tables we have to offer. Dish tables make it easier to keep on top of cleaning in the kitchen, while beverage counters offer ample prep space while leaving room for lots of convenient storage underneath. Other table and stands you’ll find here include cash register stands, room service tables and hostess stations. We’ve also got you covered when it comes to storage. Our selection of equipment stands and dunnage racks make it easy to keep frequently used kitchen tools within reach for staff. For more extensive storage, our expandable wire shelving and track shelving units help your back-of-house operations run smoothly and ensure that you never run out of essential ingredients. For select items, you can even install a security enclosure on your shelving unit. Make your kitchen more efficient than ever before with the help of these kitchen work tables, countertops, stations and shelves from CKitchen. With our low prices and free shipping, we offer the best deals on products from the top name brands. The product is for a hospital kitchen & came thru exactly as advertised.